The natural gas deposits of the Malampaya field are expected to run out by 2024. MANILA, Philippines — China's continued blocking of oil and gas drilling on Reed Bank in the West Philippine Sea may bring economic repercussions for the Philippines, a maritime law expert warned. In 2015, the Department of Energy suspended all drilling and exploration works in the West Philippine Sea due to a territorial dispute with China. The Reed Bank, also called Recto Bank, is being considered as a possible replacement to the nation's main source of natural gas, the Malampaya field, which will run out in less than a decade. 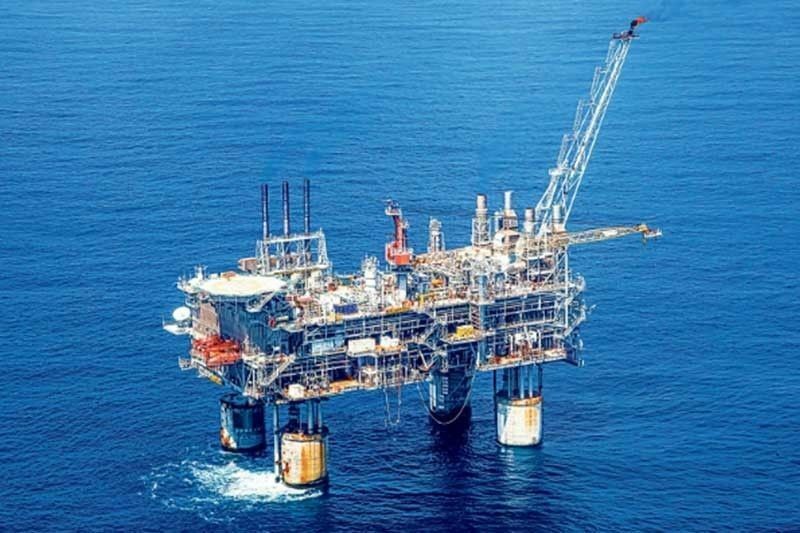 Jay Batongbacal, director of the University of the Philippines Institute for Maritime Affairs and Law of the Sea, warned that the Philippine's plans for economic development will be affected if the Malampaya field runs out of oil and gas. The country is seen to lose 30 percent of its energy requirements by 2025 if this happens. "Luzon will be the most affected. But not only that, there will also be financial effects, the side effects will be big because when you do not have power, your industry will just stop," Batongbacal said on Vice President Leni Robredo's radio show on Sunday. The maritime expert added that a substitute for Malampaya would be more expensive. At least 10 years of lead time would be needed in pursuing natural gas and petroleum energy projects. Reed Bank, which reportedly has about 21 percent more gas than the reserves in Malampaya, is one of the two areas being eyed as sites of joint exploration between the Philippines and China. The area is within the country's exclusive economic zone in the West Philippine Sea but it is also being claimed by China. Last February, the Philippines and China agreed to form a panel that would draft a framework on joint oil and gas exploration in the South China Sea. Foreign Affairs Secretary Alan Peter Cayetano earlier said that the Philippines wants a deal as good as the one on the Malampaya project, which is 65 km off Palawan. "We desire a contract that's as good or better than Malampaya... If we can have a deal that is as advantageous as Malampaya or better, what's the difference if we are dealing with China?" Cayetano said. The Chinese government had assured the Philippines that joint development would not affect the legal position of both countries on the issue. "Pending final settlement, China would like to conduct practical cooperation in various fields with parties concerned, including under the principle of shelving differences and seeking joint development," Chinese Foreign Ministry spokesperson Geng Shuang said in a press briefing in April.